If you couldn't tell already I'm very much looking forward to the summer, don't get me wrong I love a bit of minus temperatures and snow but I hate the bit between freezing winter and hot summer! I love that this years trends are for bright, happy colours. Not only in clothes and accessories but for cosmetics and nail varnish too. Pastels and Ice Cream shades will be everywhere, luckily I already have a few in my collection! That won't stop me feeding my addiction for more!! 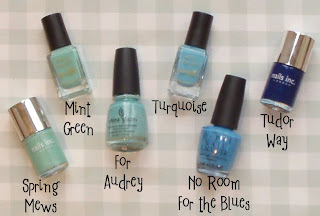 These are the nail polishes that I will be reaching for this summer, although I wouldn't restrict myself to just wearing them during the warmer months they are all wonderful colours for all year round! One of the biggest trends this summer will be for minty green and turquoise nails. Chanel are about the launch a polish in this shade for their summer cosmetics line, its bound to sell out and be a cult colour. These are some of the colours from my collection. Cornflower blue is such a pretty colour and OPI's No Room For The Blues fits the bill perfectly. Orly have their own called Snowcone and will certainly be purchasing that one soon! Another hot colour will be peach and hot corals. We have already seen MAC's Ripe Peach blusher sell out and their Ever Hip lipstick is flying off the shelves. 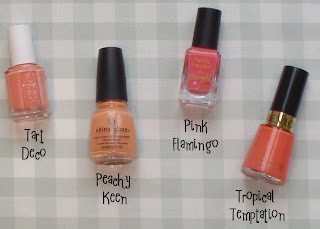 Essie featured peach in one of their most recent collections with Tart Deco, as did China Glaze with Peachy Keen. I have already worn the latter and had many people ask me if I was ready for spring, its funny how colours conjure up an image in peoples minds! 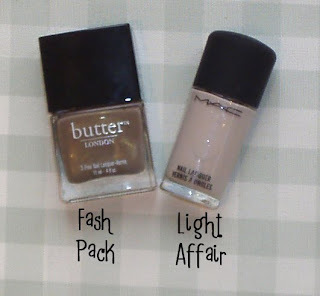 Butter LONDON's Fash Pack will be on my nails this spring/summer, it has a beautiful gold shimmer in it which you can just see in the picture. Who doesn't love a nice pink?! 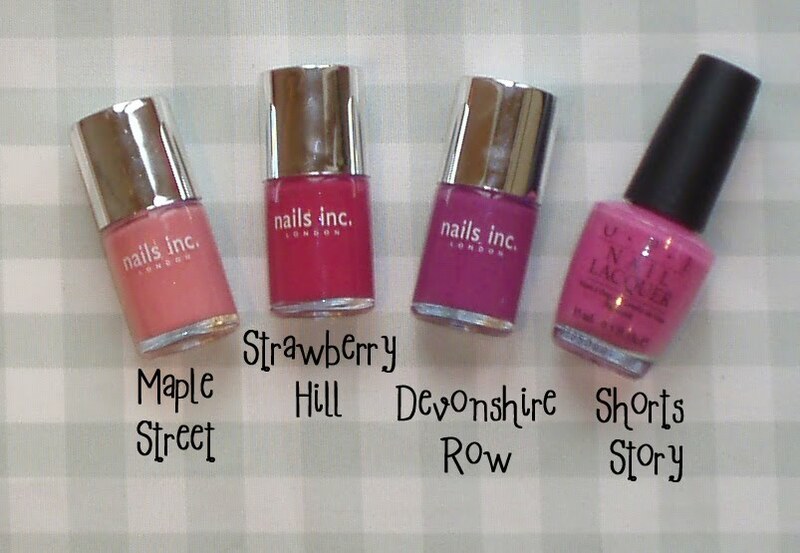 I am loving the creamy pastel pinks from Nails Inc, they remind me of English summer gardens with roses! Then the hot, holiday pink of OPI's Shorts Story all ways looks fab but particularly with a tan and pretty white skirt! Wow! This picture makes me smile! Do you have a favourite polish for the summer? I really want to get my hands on For Audrey, it's beautiful. I've had my eye on shorts story for some time now! I want that one! Great for summer. I'm loving Rich & Famous by CG but I'm hoping to get Sugar High by CG soon! I just love all those blues you have!